A true hero. A man of integrity, dignity, courage and great kindness. 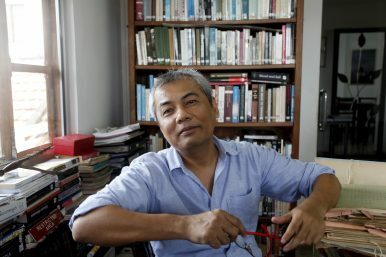 “Youk Chhang given the Ramon Magsaysay Award – Asia’s equivalent of the Nobel Peace Prize – for his work as Founder & executive director of Documentation Center of Cambodia.” Read full story. Leading by example, he taught a nation how to forgive without forgetting.